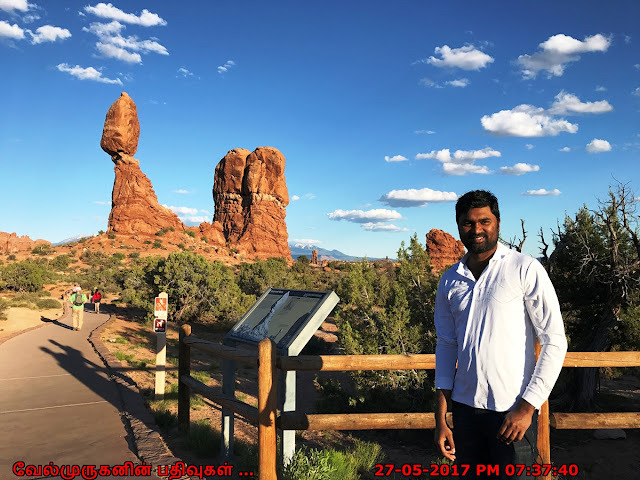 Arches National Park, one of Utah's most popular park lands, Hoodoos - Arches National Park, Moab, Utah is made up of a fascinating collection of rock art, acres upon acres of slick rock and the world's largest concentration of natural arches. Created by various forms of weathering and erosion, these natural arches draw visitors from around the globe. But it's not just arches that create the park's intrigue, as seen here in this gravity defying roadside feature. 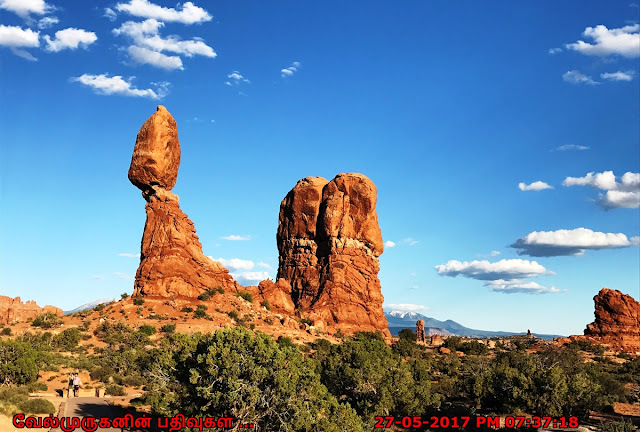 Balanced Rock is one of the most popular features of Arches National Park, situated in Grand County, Utah, United States. Balanced Rock is located next to the park's main road, at about 9.2 miles (14.8 km) from the park entrance. It is one of only a few prominent features clearly visible from the road. There is also a short loop trail leading around the base of the rock. 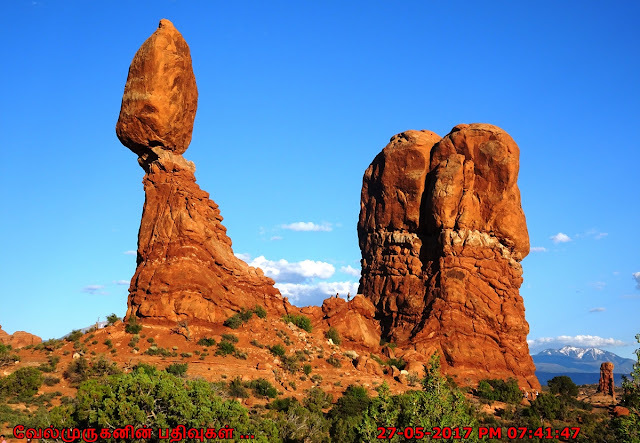 The total height of Balanced Rock is 128 feet (39 m), with the balancing rock rising 55 feet (16.75 m) above the base. This rock is the largest of its kind in the park, weighing approximately the same as an icebreaker ship or 27 blue whales. 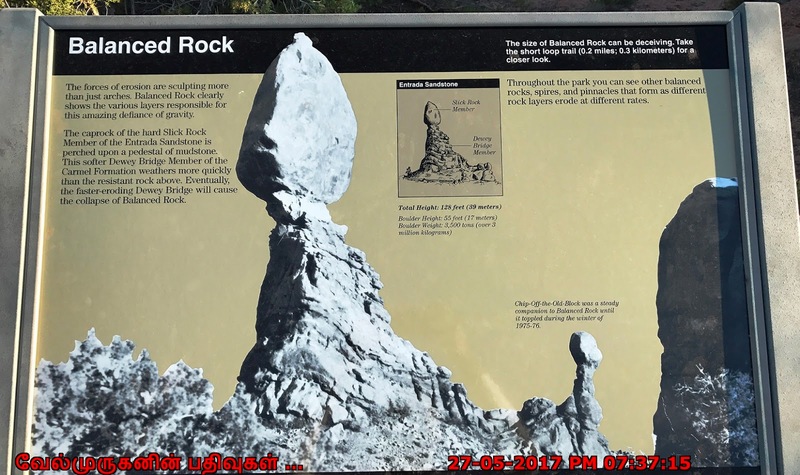 Balanced Rock had a smaller sibling named “Chip-Off-the-Old-Block” that collapsed in the winter of 1975-1976, the eventual fate of this feature as well. Balanced Rock, a natural wonder perched on a slanted pedestal, takes up as much space as three school buses. 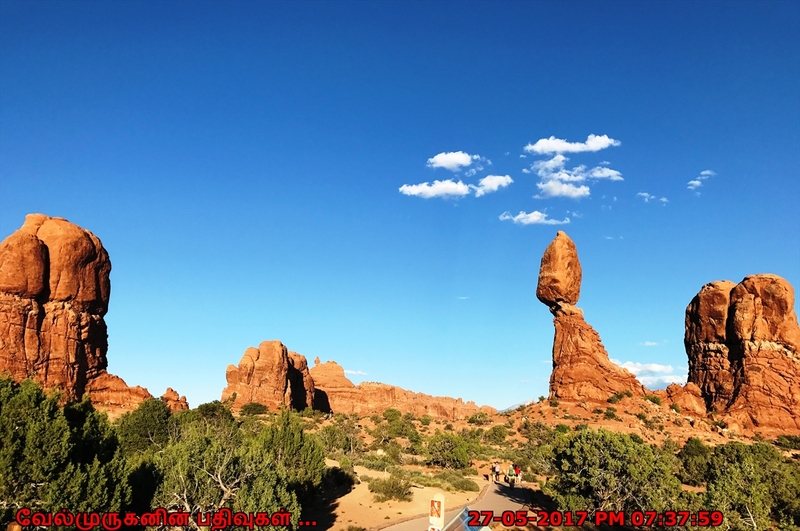 Balanced Rock defies gravity but this won’t always be the case. Eventually, the 3,600 ton (over 4 million kg) boulder will come tumbling down as the erosional process continues to shape the landscape. Balanced Rock Hiking Trail : Although parking is limited, many visitors stop to complete the short and easy hike (0.3mi / 0.5km roundtrip) around the rock’s base for unusual and up-close perspectives. How to Reach: Arches National Park is located five miles north of Moab, Utah, along US-191. Upon entering the park, rangers will give you a map. 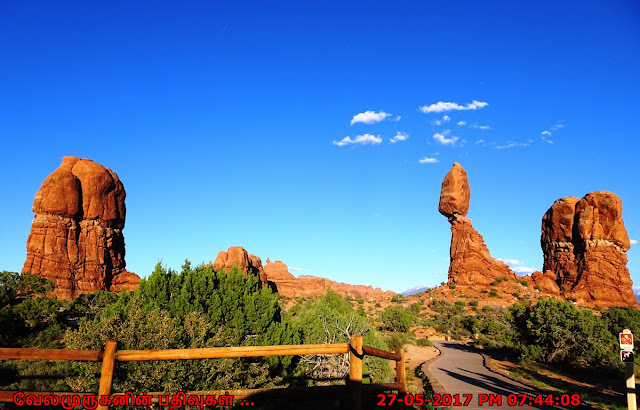 Follow the park road Arches Scenic Dr 9.2 miles where you will see signs for Balanced Rock. 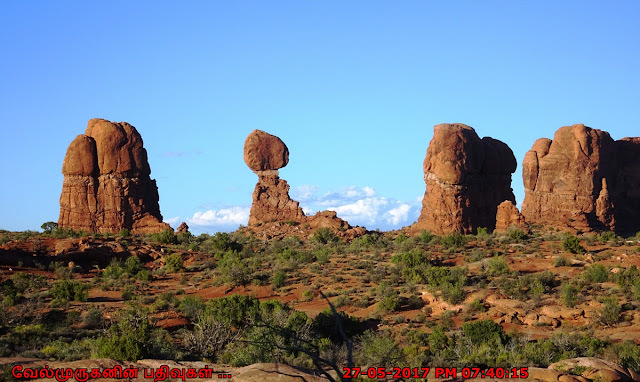 Chances are that you will see Balanced Rock before you see the sign. Turn right in the parking area.